The 2018 U.S. World Cups kicked off with two great races at World Cup Waterloo. Toon Aerts (Telenet Fidea Lions) took the win in the opening Men’s race by outlasting Wout van Aert (Unattached), and Marianne Vos narrowly beat Ellen Noble (Trek Factory Racing CX) in an instant classic in the marquee Women’s race. After the podium festivities, Aerts, Vos, Noble and U23 Women’s winner (and fourth overall) Evie Richards (Trek Factory Racing CX) sat down for a press conference in the Trek atrium. We also spoke with winners Aerts and Vos after their races. Below is a transcript of the presser. Question: A different Telenet rider has been stepping up each race. What does it mean to you to be the guy today at the World Cup and take the win? Toon Aerts: For me personally, it’s nice that I could win my first World Cup at the Trek factory. For the team, it’s the third race and the third victory. So yeah, we are happy to begin the season this way. Q: Marianne, how do you think the change in the structure of the races affected today, with the Women’s race being the last race of the day? 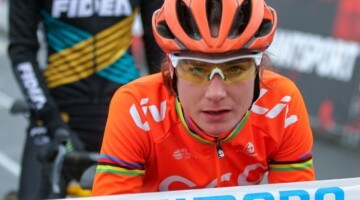 Marianne Vos: I’d say it’s a bit of a different approach because normally we’re ahead of the men. It’s a little longer wait, but in the end, it doesn’t really change much. It was good that the crowds were still there and cheering really loud. It was also good to see the men starting ahead of you so you can pick out some things you can use in your own race. It’s good to be the headline of the day. That was cool. But for the race, it didn’t really impact my approach. Ellen Noble: I would second that as well. I think, as Marianne said, it doesn’t really change the preparation, you just kind of moving everything you’re doing back at little bit. But I think it sends a really strong message and means a lot as a woman racer. Being able to hear that they’re putting us in the marquee spot says that the racing we’re doing is exciting and worth watching and worth waiting for. I think whether or not it changed the structure of the day for us, it certainly is super-meaningful and very significant for everyone involved. 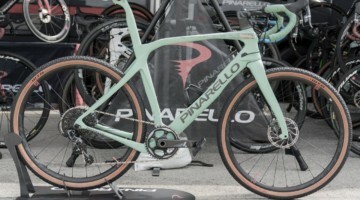 MV: It’s also good to see Trek stepping up for women’s racing. It’s one of the pluses of the weekend. Q: Toon and Ellen, how would you compare the course to last year? TA: There were some different pieces. The ground was softer than last year, so the speed was a little less and it was harder to get up to speed because it was soft. The atmosphere was even better than last year. Last year it was pretty nice to ride here, but now there were more people from America who came to support us. It was really nice to take a victory in front of the crowds. EN: I was also here last year. I’ve raced this race for like five years now, and it’s been fun to see the course progrews, using some features from the old course and some features from the new World Cup course. It’s fun to race a venue that feels similar but is also making changes so the riders don’t get bored. As Toon said, the ground was a little bit softer, so it made things a little bit more predictable, but overall, it’s been a really fun venue. You can see they’re putting a lot of effort into making it a dynamic course that’s not good for just one type of rider but rather an all-arounder. Q: Marianne and Evie, it was your first time here, what did you think? 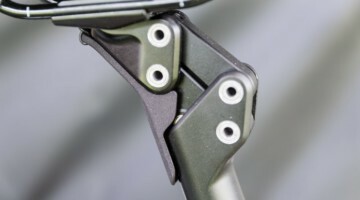 MV: I watched some video from last year, so I noticed it was very dusty and very fast and because of the dust there were some slippery parts. When we came here yesterday, it was a little softer. It could have been really muddy after the rain this week, so we thought it might be a mud fest. But now it was more dried out. It is a good course. It had some tricky parts. Some uphills. Some drag race sections. The bridges. I think it is cool for the riders and the spectators. Evie Richards: For me, it was the type of ’cross course I like. There are loads of cool features. The descents in the woods are amazing. It was a fun atmosphere, which is why I race cyclocross. It’s just cool to have that community feeling and all the support of Trek. 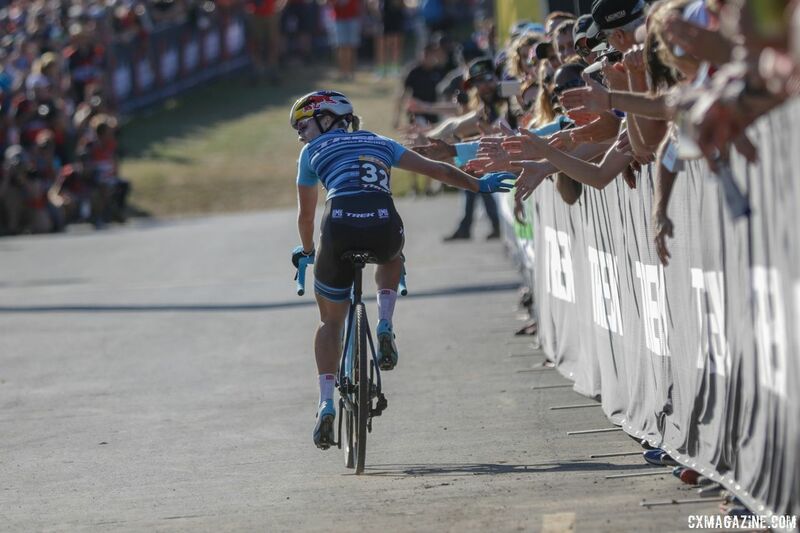 That’s why I race ’cross, just the excitement, and Trek definitely helped with the excitement this weekend. They’ve done a good job of inviting that here. Q: What’s it like to win a World Cup in the U.S.? And will you be racing at Road Worlds? MV: I am going to stay in the U.S. It’s not because of the win now but because I was already planning to. It’s great to start the cyclocross season like this. It’s been a long time since I started my season so early. 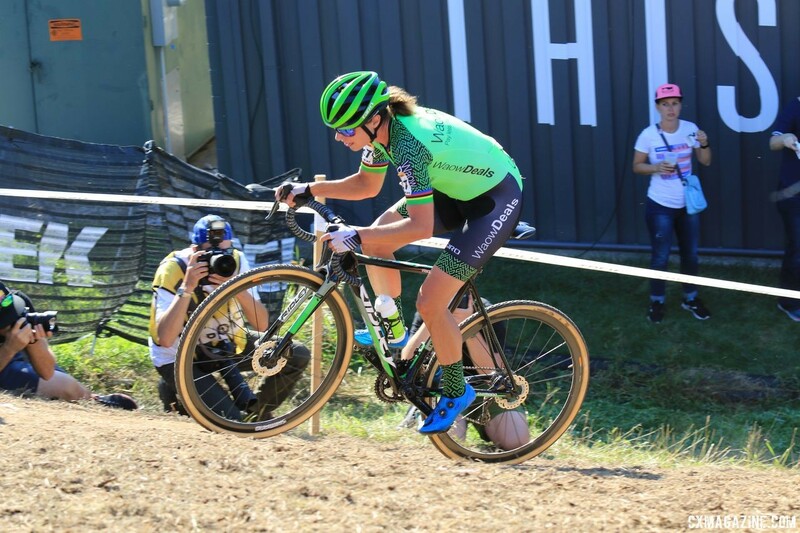 I decided to stop my road season in August and switch to cyclocross and have an early start, especially for the World Cups and the lead-up to the first part of the cyclocross season. Of course, I’m very happy it’s gone well because it was a tough decision to make. Q: What was it like in your battle with Ellen? She’s in the up-and-coming generation and you guys were going toe-to-toe. What was it like racing against her? MV: It was very exciting. It was very hard, I have to say. I think for the spectators it was very exciting, but for me it was hard. Of course, it’s fantastic to have a race like this and competition like this. To have to dig deep until the finish. I got a lot of satisfaction from the win, but Ellen gave me a lot of competition and was the stronger racer in the race. I had to try and hang in and keep her wheel. I’ve known her over the past years, and she’s one to keep your eye on. Q: Ellen, what were you thinking? EN: Holy crap. I don’t know, I kind of threw caution to the wind a little bit today. I spent a lot of last season trying to force myself into being a different racer than I am. I tried to play it super-conservatively last year and paid the price because I would just get swarmed at the start. I’ve been feeling so motivated and so hungry to just fight, and I feel like I’ve finally found that kill I needed to be a competitive racer. I think I kind of unleashed that today. Maybe strategically I didn’t play my cards perfectly how someone would have wanted me to coaching from the sidelines or from home or whatever, but I really wanted to leave it all out there. Then of course when you look back and see Marianne Vos on your wheel and no one else behind you, it’s one of those “Ohhhh, okay” moments. I knew I just had to keep going, and I knew that if we sat up for too long, we would get caught by a really strong group of three riders who were threatening to pull us back, so I just had to keep going. In the last lap, I just kind of said eff it and went all in. I knew that I had to be willing to lose the race to win it. I came up a bit short, but this is still a really really exciting result for me. And to do it at such a significant race at the factory of the brand that has supported me so well makes it even more meaningful. I was mostly balancing that, okay, you have to try and beat her with okay, yeah this is Marianne Vos. Balancing those two things was a little hard. Q: Toon, your race kind of developed in a similar way with you and Wout off the front. Did you have that same mentality where you were keeping an eye on him and an eye on not getting caught? TA: For me, if Wout would have won and I got second, I would have also been happy. When Daan Soete and Quinten Hermans crashed, it was the perfect moment for us to ride a little bit faster and get a gap. Wout asked me to pull over, and I thought, “Wout, you’re the man.” I saw he gave me 5 meters. I wasn’t worried about the gap for third, it was all about going for the win. That was my second half of the race. Q: Was the final tailwhip planned or was that something in the moment? TA: When we were waiting for the start of the race, the guys from the team said you can’t jump the flyover, it’s too far. But during the course check, I already jumped it, so I told them it’s possible. The first lap, I decided to try it, so in the race it was okay. When I was making the gap on Wout, I stayed safe and didn’t jump. The last lap, with the crowd there waiting for me, I tried it and it worked. 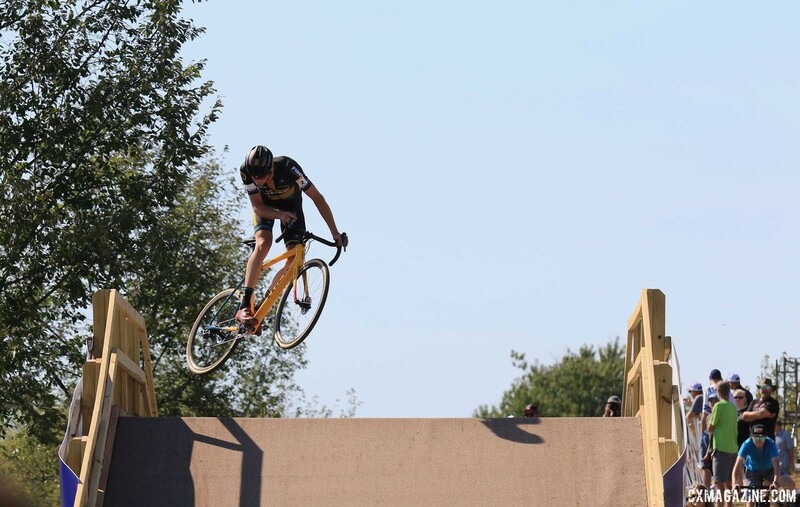 Cyclocross in America is a little bit of a show, so it was nice to make the crowd happy with a tailwhip. Q: Toon you didn’t race on Friday. Was that intentional for saving your legs? TA: Yeah, we came here on Tuesday. The first days when I do a long trip, I have some trouble with jet lag. Maybe I could have raced on Friday, but I didn’t know what the jet lag would do to my legs after the race. Sunday is more important than the C2 on Friday. I have enough UCI points right now, so I can skip the race. I won on Sunday, so I made the right choice. Q: Going into Iowa, where is your confidence level at knowing you were able to bury Wout in this race? TA: I know that Wout had a difficult week, so maybe he wasn’t 100 percent. I knew this was my moment to take a win. Also, Mathieu is not here. Those two guys are maybe stronger than me. On Saturday I will start in the white jersey, so maybe that will be good for my confidence. The start to my season has been very good, and I’m not afraid to go race again on Saturday. Q: Ellen and Evie, what does it mean to you to win at Trek? EN: It means a lot. I think I placed a bit of significance on this event. This is where it kind of began for me last year, and so I’ve been working toward this since then. Being here at Trek and unveiling the new program that is an all-women’s cyclocross program and all the steps being made toward making changes in the sport and just supporting women in so many different ways, to be able to perform on this significant day means a ton for me. It means even more to get to see all the people who have played a role it in with the XC team and the CX team and all the people behind the scenes who work on products who you’re emailing and brainstorming with all the time, to get to see them out there and go and try and make the race as exciting as possible and show their investment is worth it is really exciting. ER: Just coming straight from mountain biking, cyclocross is something I’ve always done for fun. I just love racing, so just finishing up a full mountain bike season, a week at home was pretty hard. To switch straight to the ’cross bike was pretty tough. For me, I just wanted to come and enjoy getting onto the ’cross bike. To be able to get any kind of result was amazing. As Ellen said, the work was being put in behind the scenes to get this together. It’s always nice to be able to give a bit back and get good results. It’s nice to be on the ’cross bike and see some fans. 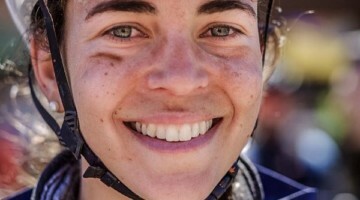 Q: Do you women feel that the World Cup mountain biking helped you be prepared for this weekend? ER: Yeah, the mountain biking definitely helps with cyclocross. I think I kind of dive-bombed some people in a few corners, and I think that’s just from the confidence I have from mountain biking. We don’t let up going into the corners, we go full gas through them. Definitely, the descending helps. I know sometimes on the mountain bike I get to the course and I’m a bit scared, but you come to a ’cross course and you have nothing quite like you see at mountain bike races. My confidence is never great descending, but when I get to a cyclocross race, it’s pretty high. Any discipline, whether it’s road or mountain biking will transfer. It’s cool just to have two focuses. With mountain biking, I put a lot of pressure on myself, and I struggle to get to bed the night before. I get sick because I am so nervous. To have cyclocross as that fun thing I do on the side makes it more fun to race and really go for. EN: I would say it’s similar for me, but it’s kind of the opposite. Mountain biking has been the thing where I sleep just fine, but I get to ’cross races and I couldn’t sleep last night because I am so nervous. It’s the same for me in that technical aspect. Sometimes you don’t even notice, and it can be hard to compare. It’s like, yeah I felt good on the course and you don’t realize you previously would have struggled with railing those descents. 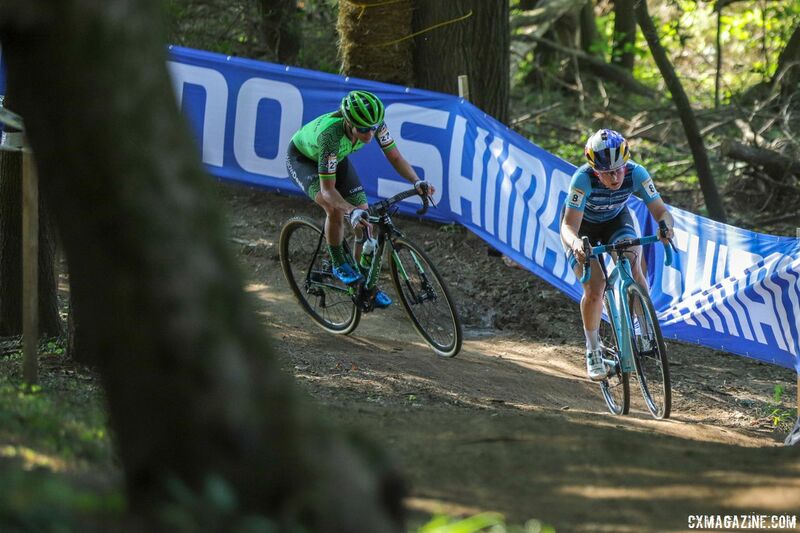 For me, the real big change I noticed is that this was my first World Cup mountain bike season, and it was so hard. Starting at the back, the back back, every race and having to chase through has taught me it’s start to finish. Previously I was struggling with completing those efforts in cyclocross. Having to start at the back and go full gas for 90 minutes has really helped change the way that I race. Being off the front with Marianne in the first lap today, I was like okay, we might actually be able to make this stick because I’ve gone harder for 90 minutes. I was like, I think I can do this for 45. Q: Ellen and Evie, watching you race on Friday was like a 1-2 punch? What was it like racing together and did you discuss tactics beforehand? ER: I’m definitely not one for tactics. Tactics go out the window. I don’t think I’ve ever gone into a race with tactics on my mind. Tactics were definitely not discussed. We’re both on the same team and we work well in training and we get on well, but when it comes to a race, we’re racing for the podium. EN: I think we have room to grow. I think we could be a great 1-2 punch, but on Friday, we both just kind of went out and raced. Maybe. Maybe one day. Q: Marianne, Ellen and Evie talked about how the mountain bike season helped them for cyclocross. Do you think road racing has anything to do with your result today? 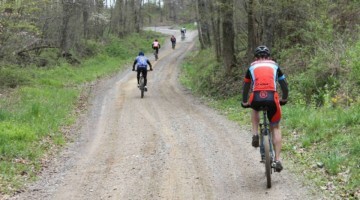 MV: Coming out of the road season with good shape and confidence helps. I think most of the riders train on the road as well to get the miles, or kilometers, in. For me it definitely helps. Of course you have to make choices during the season. You can’t prepare for both full-on, you can, but it’s really difficult. I have a high level of fitness from the road season, and it’s nice to try and pick that up and make the transition to the cyclocross season, which is really different. I’m glad it at least worked out today. 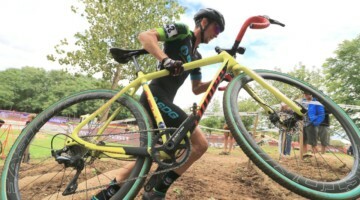 For more from Wisconsin, see all our coverage of the 2018 World Cup Waterloo.